Salient feature - unimat refractory brick cutting machine for cutting refractory blocks complete with motor & the slide table is one of the quickest, easiest and most efficient ways of cutting standard refractory bricks. 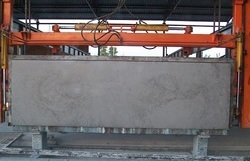 The specialty of this machine is the high productivity and accurate cutting of the bricks. Our company is involved in manufacturing and supplying Castable Brick Cutting Machine which are made by using latest and modern technology. This range of Brick Cutting Machines is foot pedal operated which facilitates hands free operation and hence reduces the operator’s fatigue. Cutting Blades for Refractory Brick. Application Area: All types of Refractory bricks. 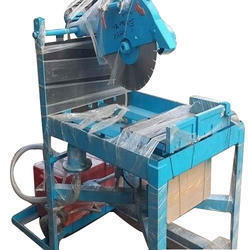 Assisted by rich industrial experience and immense knowledge, we are able to provide Cement Brick Cutting Machine. Bricks Cutting Capacity - Thick 9"